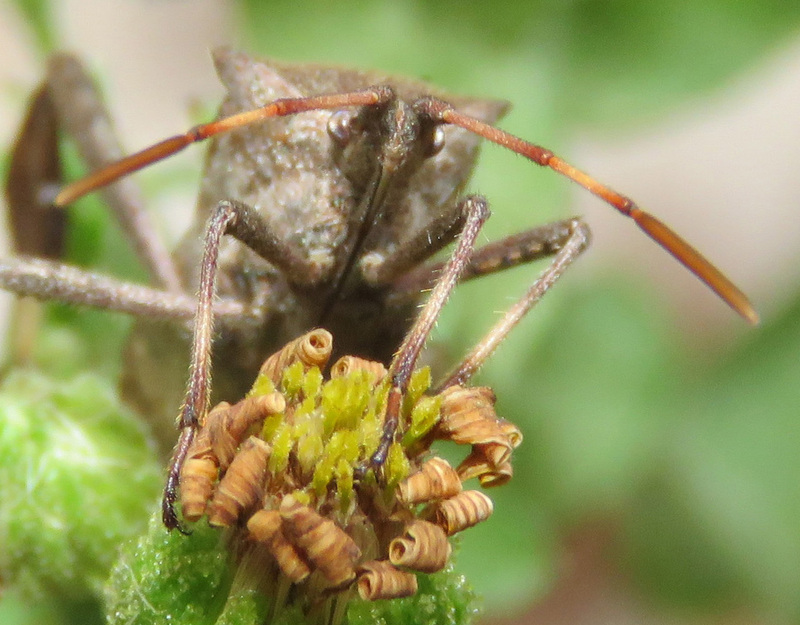 The charming face of an Eastern Leaf-footed Bug. I believe this one is an Acanthocephala species. You have creepy-looking critters in Texas . . . 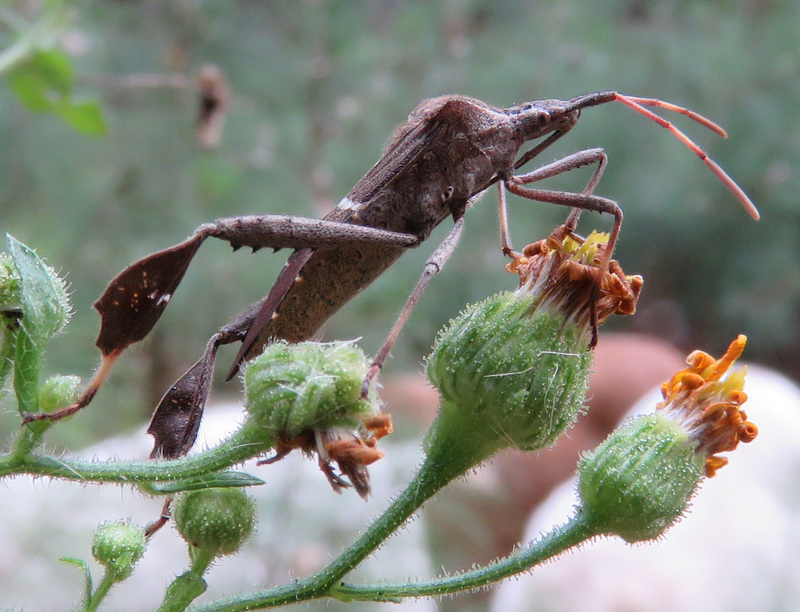 I looked it up, and these bugs are most common in the South, but the Eastern Leaf-footed Bug has been recorded in New York! So they might be right there with you! !